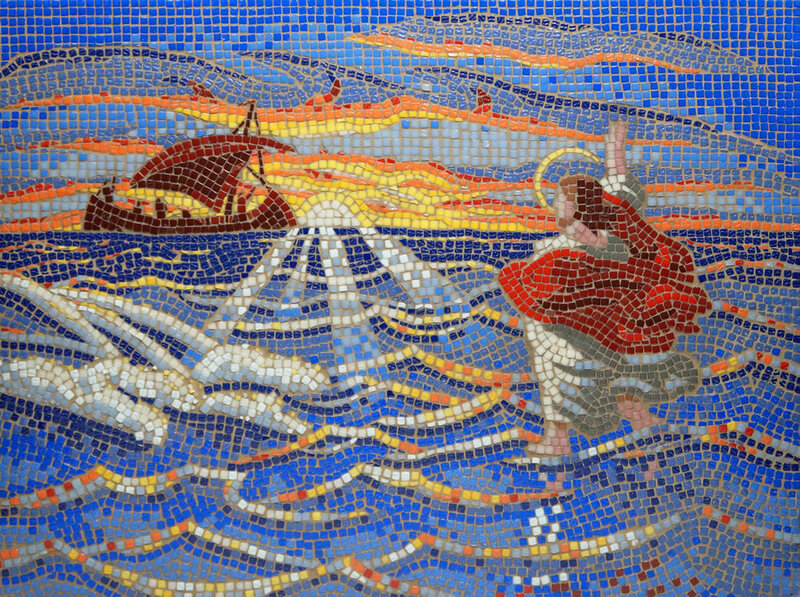 << “Be Not Afraid” is an amazing glass mosaic by Kevin Pawlowski. It took about a month and a half to create, with over 6,000 pieces of glass tiles. Own a canvas reproduction for your home today!